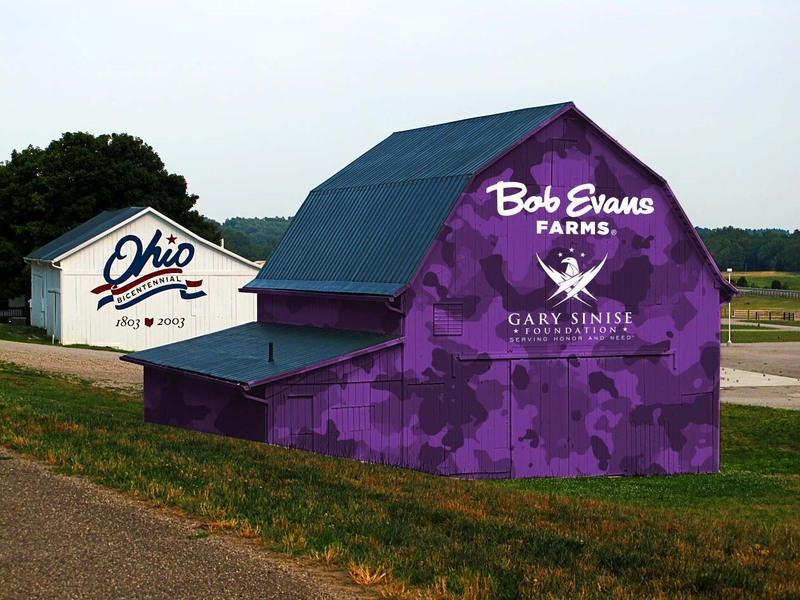 Bob Evans Farms, Inc. (NASDAQ: BOBE), is proud to announce its commitment to support America’s active duty, veterans, and their families with the launch of its “Our Farm Salutes” campaign. 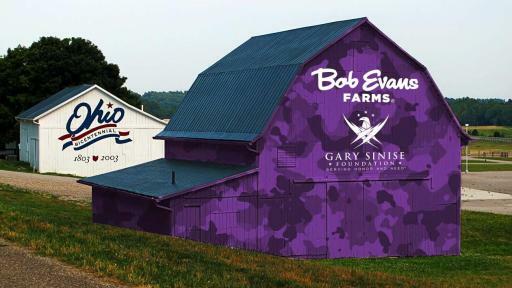 As part of the program, Bob Evans Farms has painted its iconic barn purple, a color that represents every branch of service, and is donating $200,000 as well as thousands of meals to support the Gary Sinise Foundation’s (GSF) Serving Heroes program, an initiative that provides meals to active duty, veterans, and their families as a way of showing gratitude for their service and sacrifice. 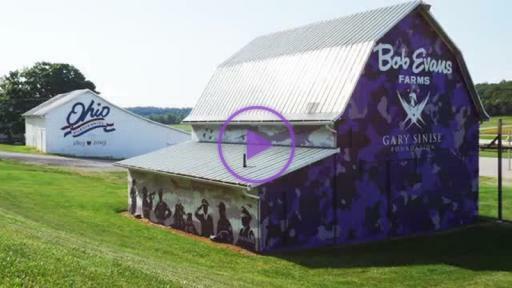 Bob Evans Farms, Inc. owns and operates full-service restaurants under the Bob Evans Restaurants brand name. At the end of the third fiscal quarter (January 22, 2016), Bob Evans Restaurants owned and operated 548 family restaurants in 18 states, primarily in the Midwest, mid-Atlantic and Southeast regions of the United States. 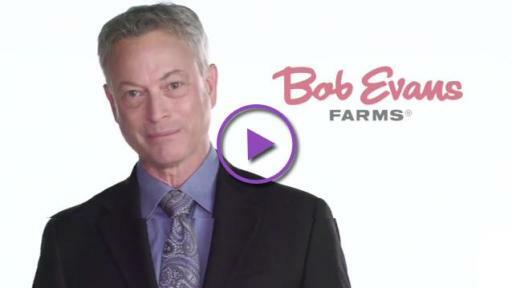 Bob Evans Farms, Inc., through its BEF Foods segment, is also a leading producer and distributor of refrigerated side dishes, pork sausage and a variety of refrigerated and frozen convenience food items under the Bob Evans and Owens brand names. For more information about Bob Evans Farms, Inc., visit www.bobevans.com. Actor/humanitarian Gary Sinise has been actively and tirelessly supporting the troops for over thirty years. Among his numerous film and television roles, it was his portrayal of Lt. Dan Taylor in the landmark film Forrest Gump which formed an enduring connection with servicemen and women throughout the military community. Over the years, Sinise participated in handshake tours, hospital visits, invited veterans to come for free performances at his theater in Chicago, and much more. In June 2011, to expand upon his individual efforts, Sinise established the Gary Sinise Foundation. The Gary Sinise Foundation honors America’s defenders, veterans, first responders, their families and those in need. Through its R.I.S.E. (Restoring Independence Supporting Empowerment) program, specially adapted smart homes are being constructed for severely wounded veterans nationwide. Each one-of-a-kind home is customized to ease the everyday burdens of a wounded hero, their family and caregivers. Other programs include Serving Heroes, Relief & Resiliency Outreach, Invincible Spirit Festivals, the Lt. Dan Band, Arts & Entertainment Outreach, and First Responders Outreach. Its latest program, Soaring Valor, is sending WWII veterans to The National WWII Museum and documenting their first-hand accounts of the war. Over the years, the Foundation has formed numerous corporate partnerships which support many of the Foundation’s programs. For more information, please visit GarySiniseFoundation.org.